We are proud to announce that The Orchards Community Association has selected Tinnelly Law Group as their association’s legal counsel. 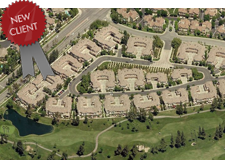 The Orchards is located in Tustin Ranch, within walking distance to shopping, dining, and theaters in the Marketplace. Residents enjoy using the community pool, spa, tennis courts, and access to nearby Greenway Park. Our HOA attorneys and staff look forward to working with The Orchards’ Board and management.